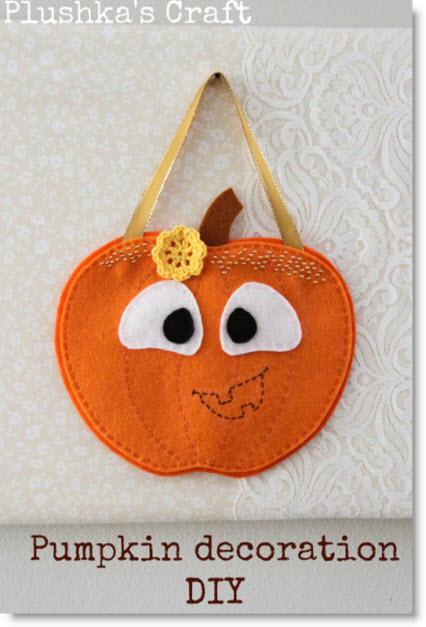 Katia of “Plushka” created this darling Halloween pumpkin decoration and you can Download and print out a pattern. She also has sweet pictures on how to assemble this pumpkin. Katia offers a collection of textile designs handmade by with an emphasis on tiny details, that make items extra special, quality and traditional techniques that she is passionate to include into modern creations. Looks very cute and inspiring!